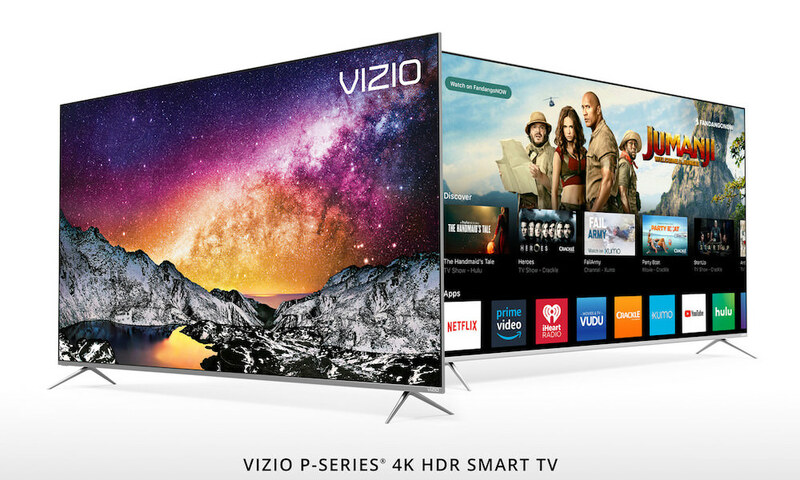 Vizio has a long history of offering some of the best bang for the buck TVs, and their 2018 E-Series continues that tradition. 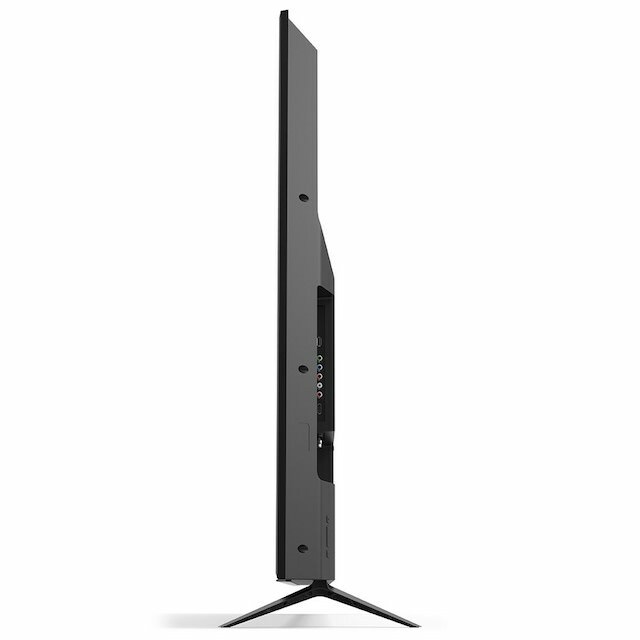 The E-Series sits one step above Vizio’s lowest-level D-Series, yet only costs about $20 more. Even though some screen sizes overlap, D-Series sheds local dimming and Dolby Vision HDR, which makes the E-Series more appealing. Vizio provided me the 2018 E-Series 65-inch (model E65-F1) 4K TV for free in exchange for this review. It currently costs $799 and is one of the lowest priced 65-inch 4K HDR TVs on the market and I believe your cheapest option with local dimming — a feature common in more expensive TVs. 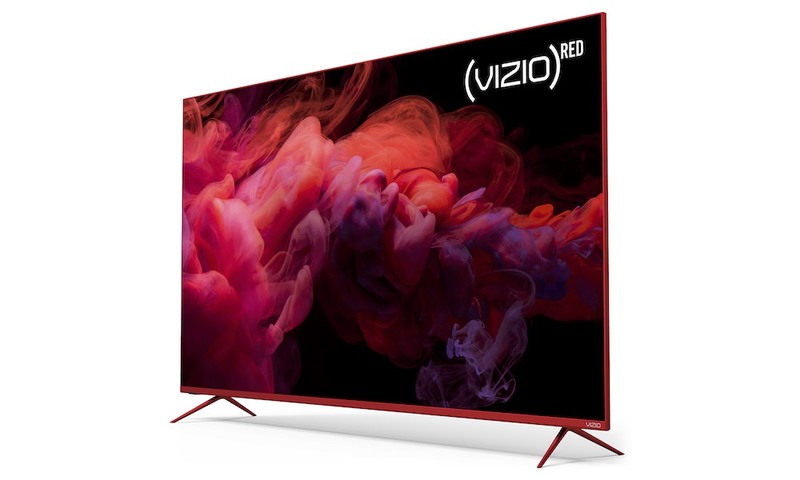 The 2018 Vizio E-series range in size from 43-inches to 80-inches, priced from $350 to $1550 and most of my commentary should be applicable to the entire E-Series. In addition, my usability comments should be reflective of the entire 2018 Vizio line since they all share the same TV menu and streaming interface called SmartCast. SmartCast is the “smart” part of the TV so you don’t need a separate set-top box like Roku, Apple TV or Fire TV. Of course you can add one if you want, but the beauty of SmartCast is having one remote to control everything. Now that 65-inch TVs have now come down in price enough, they’ve become the new sweet spot for what’s affordable and appropriate for most rooms. This Vizio model fit perfectly edge-to-edge atop our fireplace mantle, which makes me think the 70-inch model could be too wide for that setup. Also, it’s worth noting the E-Series are certainly not the skinniest TVs on the market. 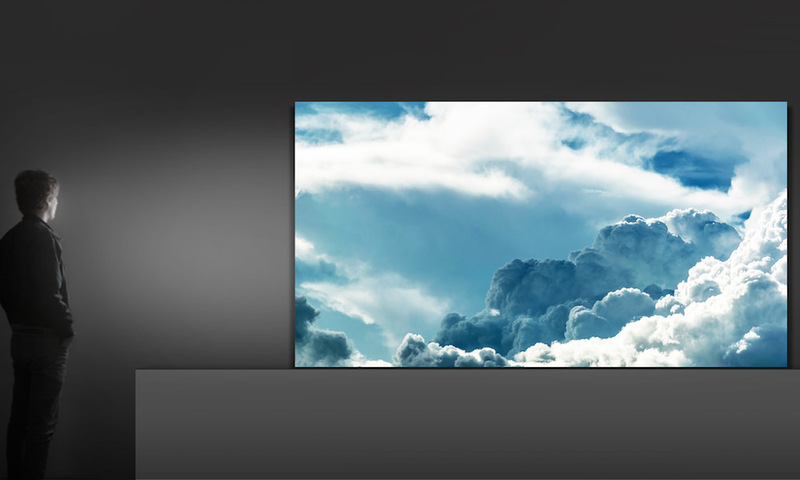 The 65-inch Vizio E-Series replaced a 6-year old 60-inch Sony HDTV that originally sold for $2000. I make note of the comparison only because I’d suspect most people in the market for a new TV are replacing an older TV of at least that age or older, or just want something bigger. In any case, you’ll be quite impressed with Vizio’s 65-inch E-Series and can save time reading if $799 is your max budget for a new TV. It’s packed with streaming features and displays a breathtaking 4K image. However, if you’re the kind of person who needs to analyze everything before making a decision, there’s plenty more to consider. Let’s start at the unboxing. There’s not much in the box, so things go pretty fast. That’s a good thing! But at 56 lbs you’ll need an extra person to help you unbox it and lift it into place. The two stand legs screw in easy, but you’ll need your own Phillips head screw driver. From there just plug the TV into the wall, put two AAA batteries into the remote control, and power on. One quick aside, there’s a small notch on the bottom-back side of the remote that opens up the remote with a long fingernail or flat head screwdriver. Next you’ll go through a series of setup menus. It doesn’t take long, but if you’re like me, the most time consuming part was trying to remember your Wi-Fi password. Once Wi-Fi is connected you’ll enter Vizio’s exclusive SmartCast TV interface for accessing popular streaming options, but not everything. Vizio’s got you covered with Netflix, Hulu and YouTube. Amazon’s Prime Video is also built-in, so there’s no need for a Fire Stick dongle. What’s missing are HBO and Showtime from the main menu, but they’re still accessible with some extra steps. 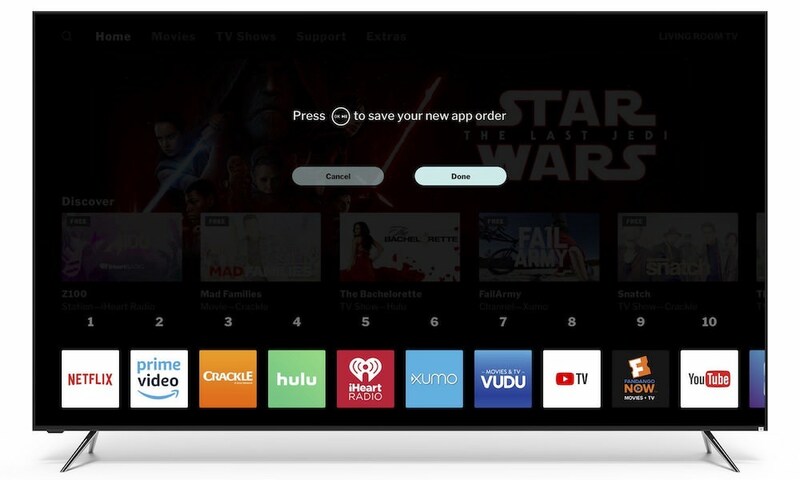 One option is to get them inside Amazon Prime Video app, or bypass the on-screen menu altogether and “cast” directly off your smartphone via Chromecast. Any Chromecast enabled app on a smartphone/tablet becomes instantly viewable on this TV with a single tap, but I’ll get to that later. There’s a lot of streaming options, which is both a good and bad thing. It’s great to have so many possibilities, but bad that they don’t work better together. Welcome to the state of streaming in 2018. Every Smart TV has some version of these issues, and all manufacturers are trying to create the best experience for cord-cutters. 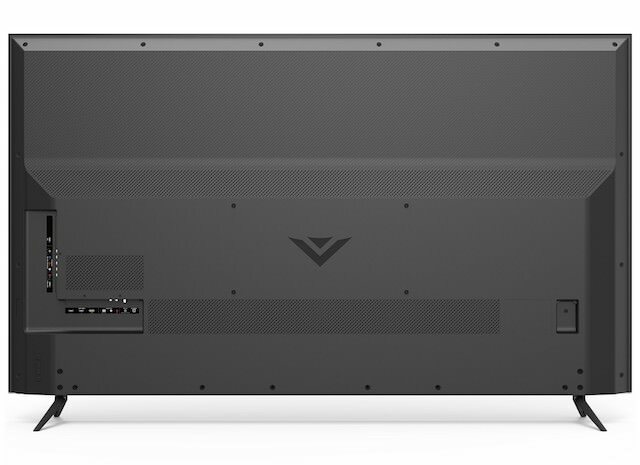 SmartCast is the unique solution from Vizio, which delivers a clutter-free home screen for discovering streaming choices while simplifying all your TV watching needs into one remote. No dongles, no extra wires, no other set-top boxes needed. The best content is available via subscriptions from Netflix, Amazon Prime Video, Hulu, or YouTube TV. There’s plenty of free content too from regular YouTube, NBC app, and about a dozen more apps you’ve probably never heard of. The big downside to the free stuff is ads, more specifically un-skippable ads, and lots of them. This isn’t Vizio’s fault, just something to consider when you cut-the-cord. 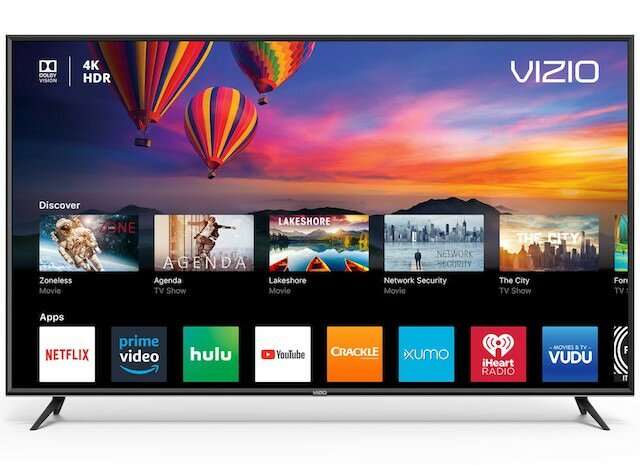 All 2018 Vizio TVs have Chromecast built-in, which allows you to not only discover content from your smartphone/tablet, but be able to view it (cast it) on the TV instantly with a single tap of the Chromecast icon. It’s very handy, and lets you bypass the TV menus all together. 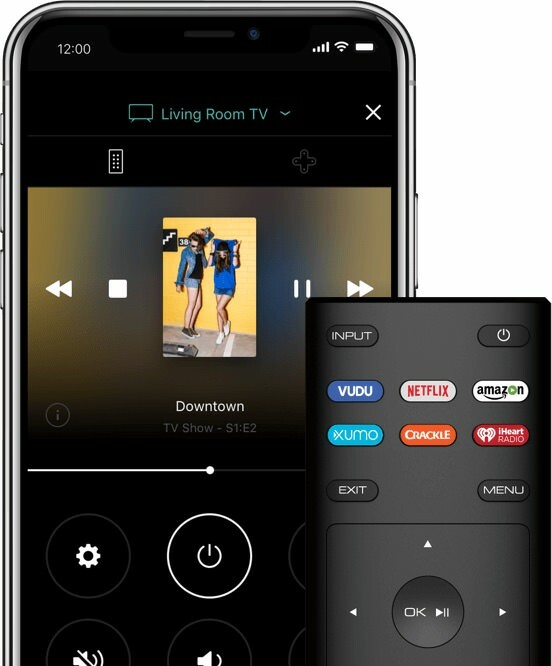 On top of that, Vizio’s own SmartCast Mobile App for iOS and Android puts all the TV controls (both functional and streaming) into your handheld device. The E-Series does a good job appearing not to be slow, but there’s typically a 15-30 second wait before anything starts. Power on the TV and expect to standby for roughly 30 seconds until the home screen fully loads. Then there’s another ~15 second wait to load up an app (e.g. YouTube or Amazon Prime Video). Plus, another 15 second wait for buffering once a show is started. The good part is navigating menus and scrolling through content icons works fast, which makes the overall interface appear peppy. Also, there’s a Quick Start Mode option in the TV setup menu that cuts initial TV power-on time in half in exchange for using extra power. It definitely works better, and seems to be only off by default so the TV can meet Energy Star Certification. One of the unique features to Vizio’s 2018 series is a new service called WatchFree, which brings free live TV streaming channels typically only available via cable/satellite TV. There’s free MSNBC, CNBC, Bloomberg News, and Fox Sports, plus niche Internet channels from CNET, Nerdist, Mashable and hundreds more. You’ll also find free movies streaming, although probably not much you really want to watch. 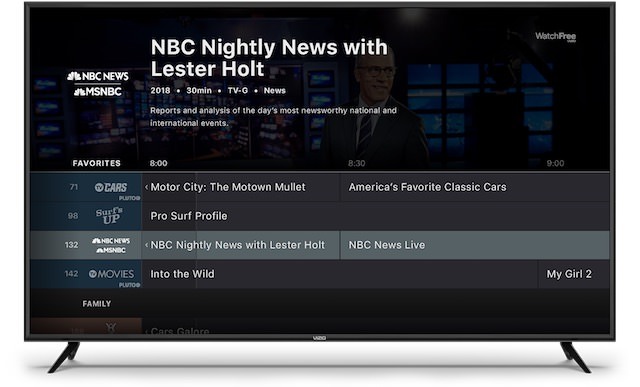 WatchFree is made possible through an integration with Pluto TV. But you can also watch free TV, much of which overlaps, through another built-in app called XUMO. To get an idea what’s available for free go to https://www.xumo.tv or http://pluto.tv. Both are free to watch from your computer too! All Vizio E-Series TVs can connect to Amazon Echo or Google Home. I paired my Amazon Echo with high hopes, but quickly learned there wasn’t much there, although it’s still kinda cool. There’s on/off that works flawlessly, and volume up/down that works too. Just speak, “Alexa turn on TV”, or “Alexa TV volume up”. I could also change inputs by telling Alexa to switch to HDMI-1. After that, Alexa wasn’t of much help. Alexa can’t search, select or start shows or apps. 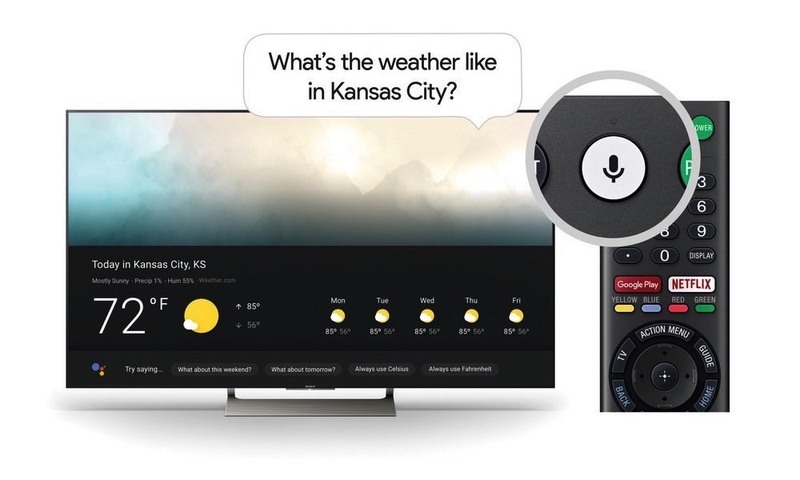 Maybe that will change in the future, because it does appear Google Home offers much more voice functionality (from the video above). 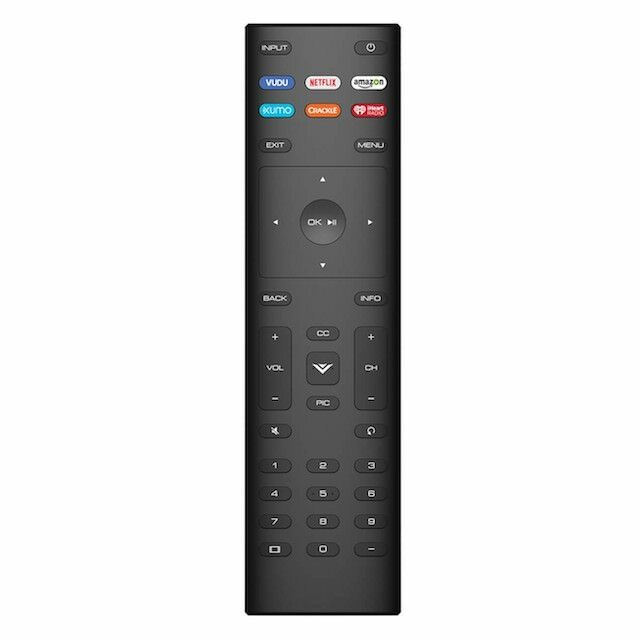 The remote control is small, fits in your hand nicely, and works reasonably well. It has 6 quick access buttons to load Netflix, Amazon, Vudu, XUMO, Crackle and iHeart Radio that double as shortcuts and power-on. Then, it’s mostly needed to navigate the TV menus with the usual up/down/left/right directional buttons. The “OK” middle button is intuitive for select/play/pause. However, two things missing I would have liked are a universal 15 second skip button and a shortcut button for YouTube. With each passing year, it’s amazing what can be achieved in picture quality for a lower and lower price. 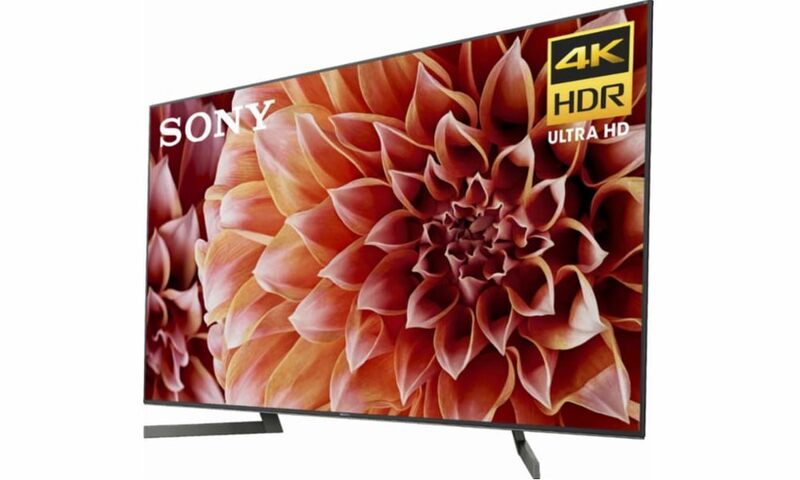 The 65-inch E-Series boasts an “Active Full Array with 12 local dimming zones for deep blacks” and “Dolby Vision HDR for enhanced color and contrast.” Its picture proved to be very good, just don’t expect it to outperform more expensive TVs. That’s OK, because I suspect most people couldn’t tell the difference, so why spend more? In addition, there’s built-in DTS Studio Sound which enables better than expected surround sound effects. Like many budget TVs, there are things I wish were better like improved off angle viewing, a less reflective screen, and quicker refresh rates for smoother motion, along with a thinner profile. However, I wouldn’t say anything is a deal breaker, especially when factoring its 4K picture achievements for the price. There’s a lot to like about Vizio’s E-Series 4K TVs for 2018. For not much money, you get a beautiful big screen TV, surprisingly good simulated surround sound, and more than enough streaming options to ever fully understand. Overall, it’s a great TV at a great price.